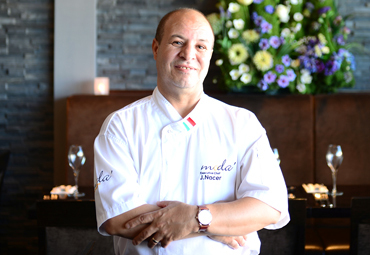 After a distinguished Career J. Nacer joined moda in 2009 as head chef and began to implement his own style of cooking with firm beliefs in traditional Italian cooking using original flavours, prepared and presented with a modern flair. J. Nacer's approach to cooking was an instant success at Moda and became a magnet for food lovers. 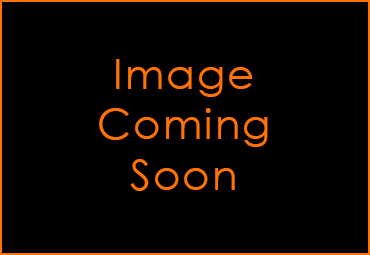 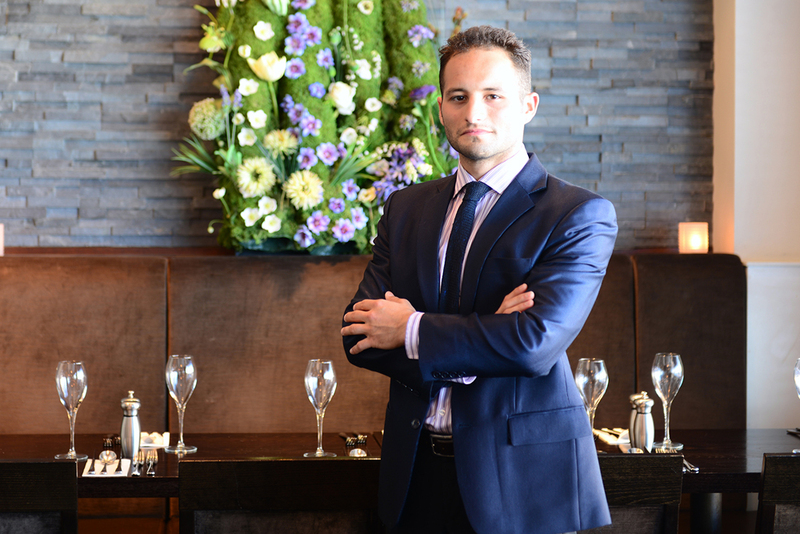 B. Sabzevari started his professional career from the age of 16 alongside his father in the family business. 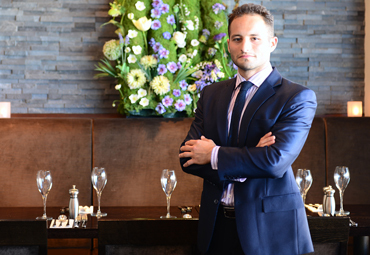 His ambitions and enthusiasm led him to manage the restaurant by the age of 20. 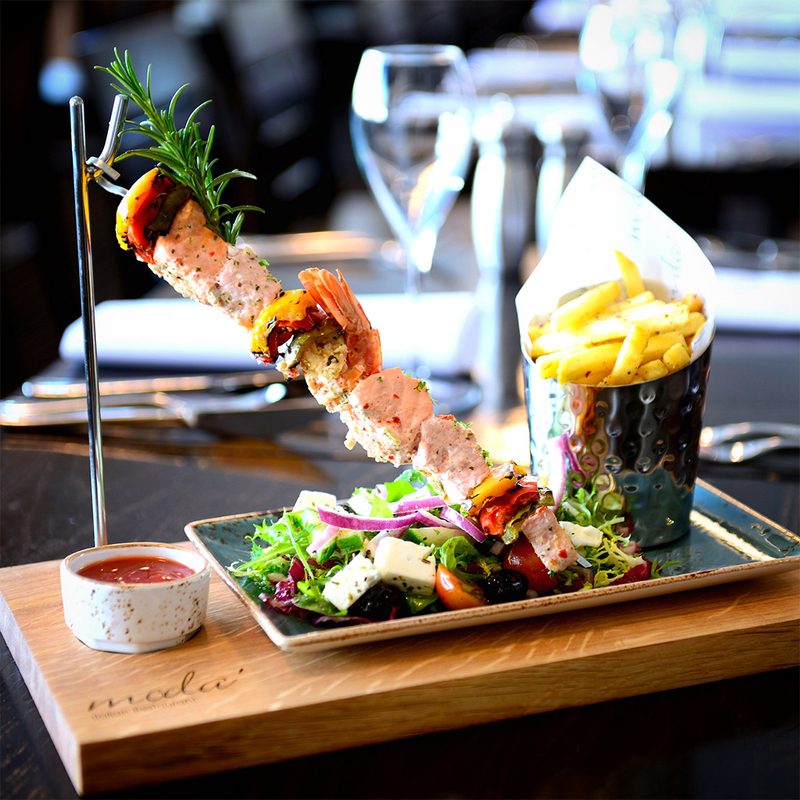 In 2008 he had the opportunity to open Moda restaurant which quickly became a huge success due to his attention to detail, style and creativity. Moda is now considered one of the most highly acclaimed restaurants in Nottingham. 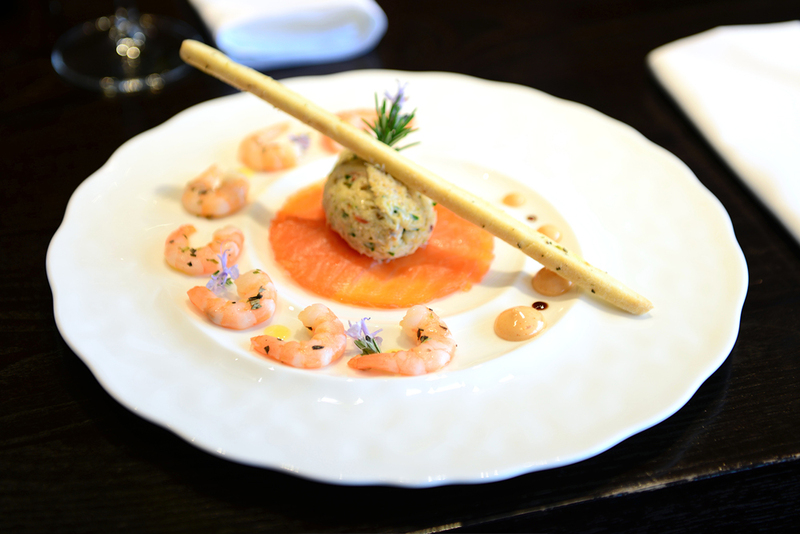 Take a look at our current collection of Signature dishes from our A la carte menu, designed & created by executive Chef J. Nacer & influenced by MD B. Sabzevari. 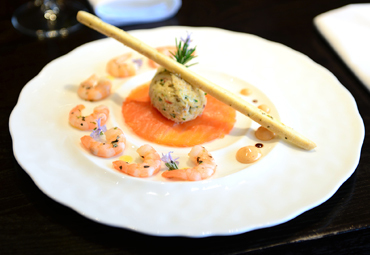 A trio of superior smoked salmon, fresh white crab meat and king prawns served with marie rose sauce and home made bread and butter. 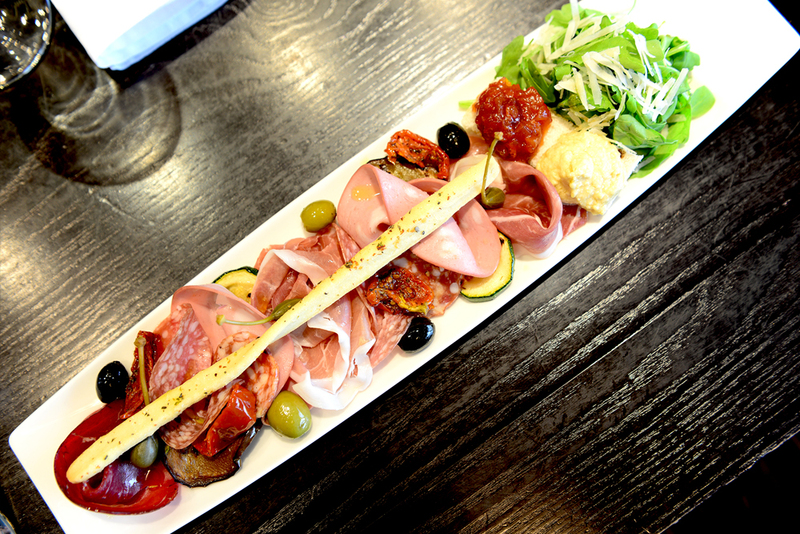 A selection of the finest cured Italian meats serverd with grilled vegetables, sunblush tomatoes, artichokes, chutney and crostini. 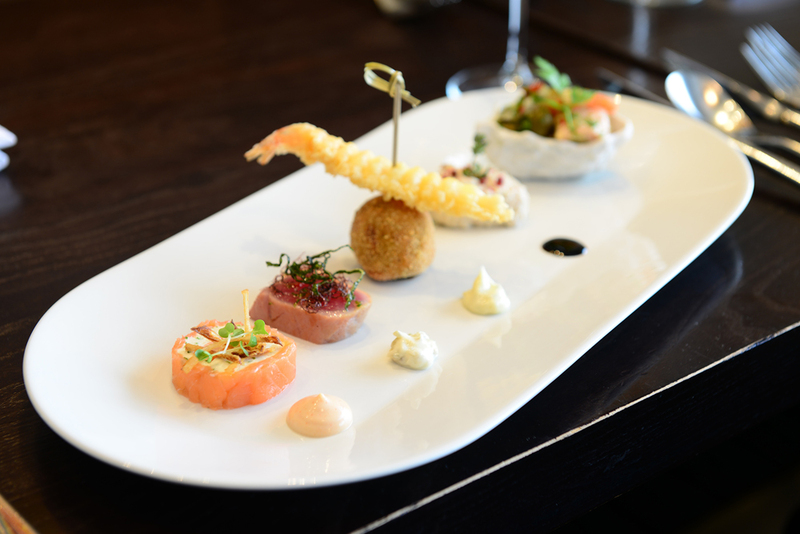 Chef’s favourite five • Smoked salmon, soft cheese and prawn • Seared sashimi tuna • Fried fish ball with tempura prawn • Fresh white crab meat • Mini seafood salad shell. 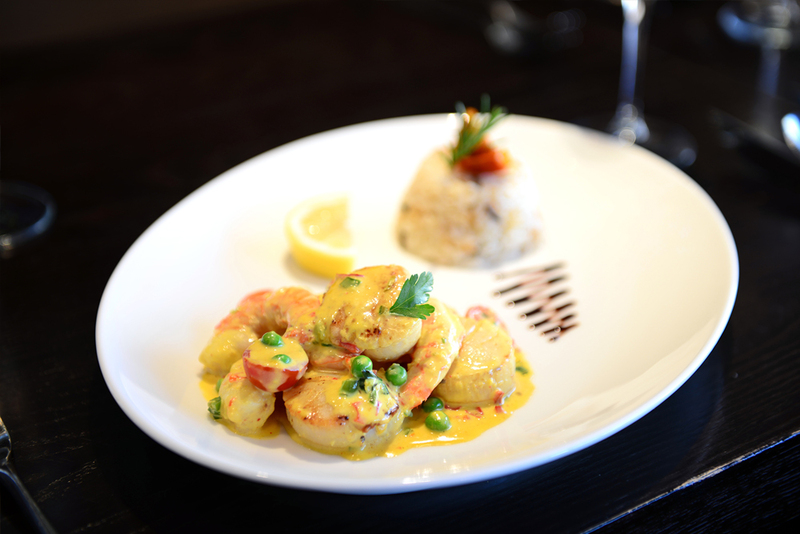 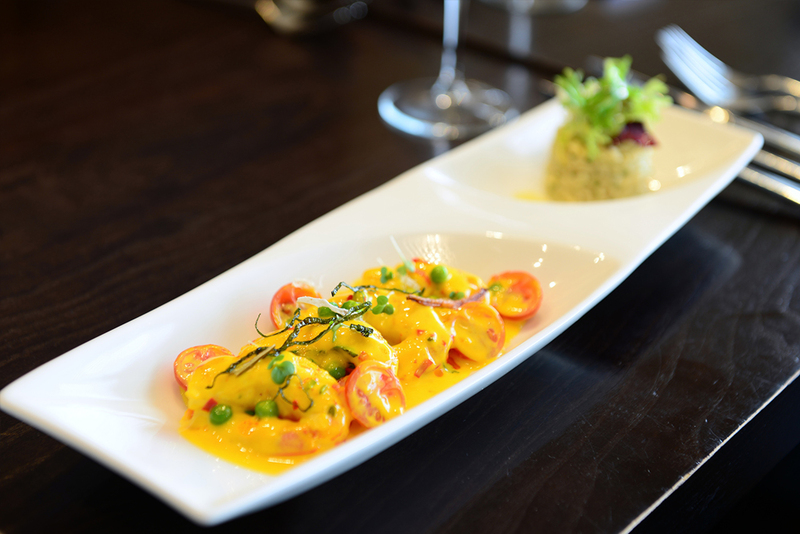 Pan fried king scallops and Tiger prawns in chefs special cream, white wine and saffron sauce with fresh basil, cherry tomatoes, chilli and green peas, served with steamed rice. Panfried tiger prawns and scallops in chefs special cream, white wine and saffron sauce with fresh basil, cherry tomatoes, chilli and green peas with orzo (rice shaped pasta). 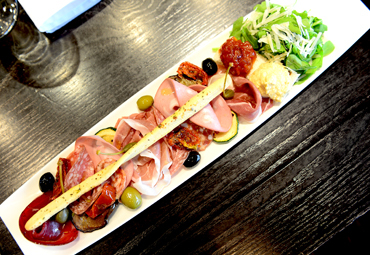 Rice cooked with Italian pancetta and chicken with sweet marsala wine, green apple purée and cream, topped with crispy Parma ham and dried apple. 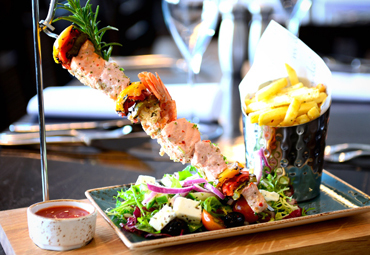 Freshly steamed salmon, swordfish and tiger prawns with garlic, lemon and chilli served with fresh Mediterranean salad, seasoned fries and condiments. 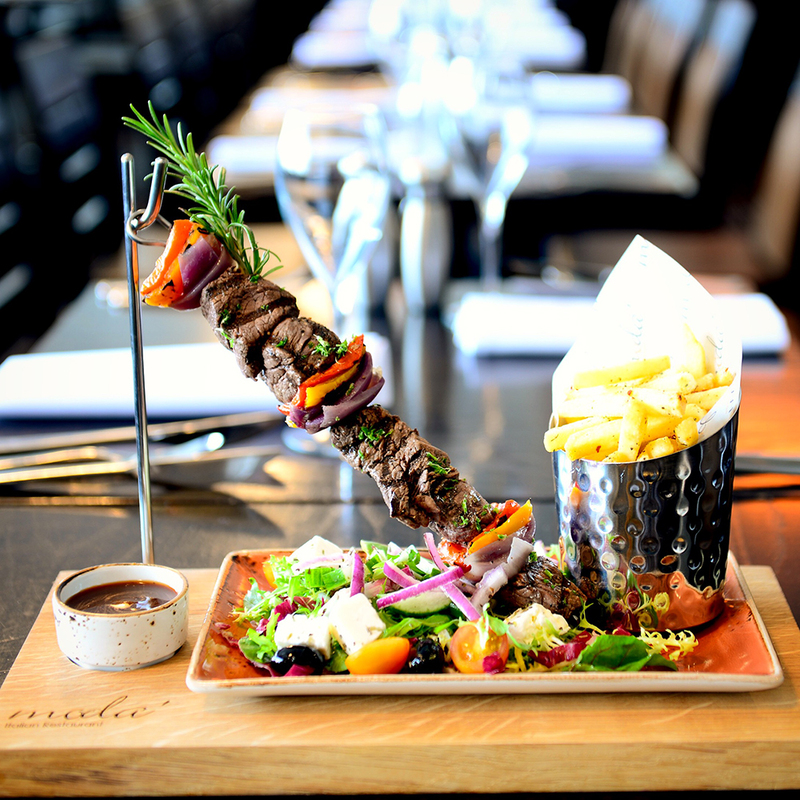 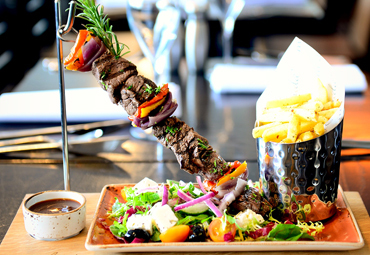 Grilled cubes of succulent fillet marinated in red wine and cracked black pepper served with fresh Mediterranean salad, seasoned fries & condiments. 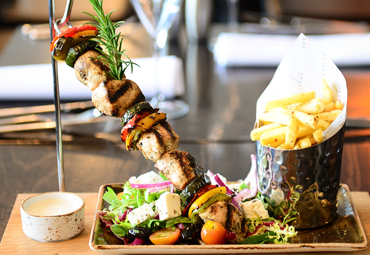 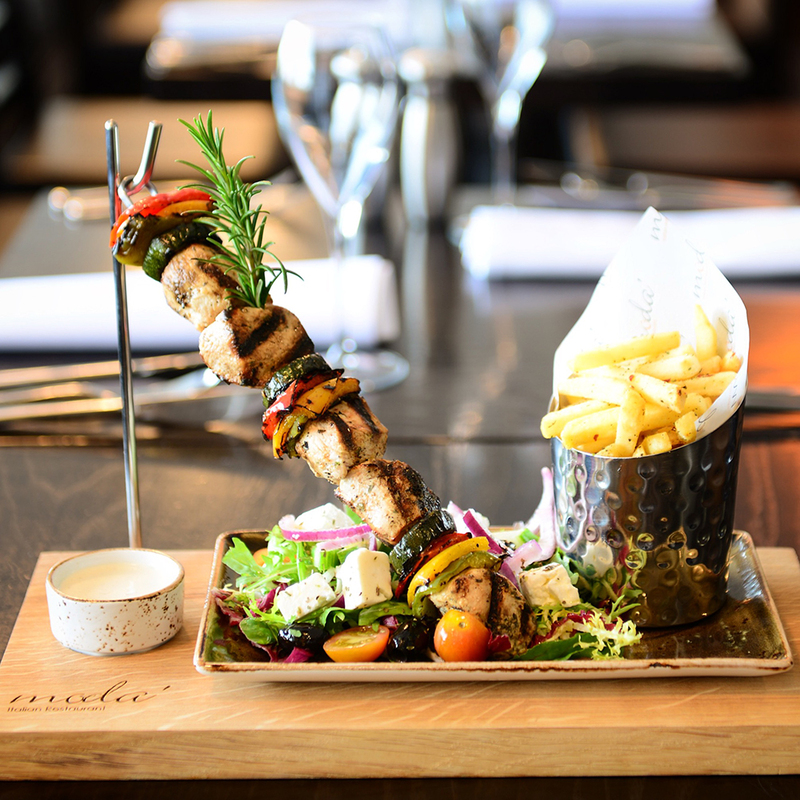 Succulent garlic, lemon and herb chicken grilled and served with fresh Mediterranean salad, seasoned fries and condiments.